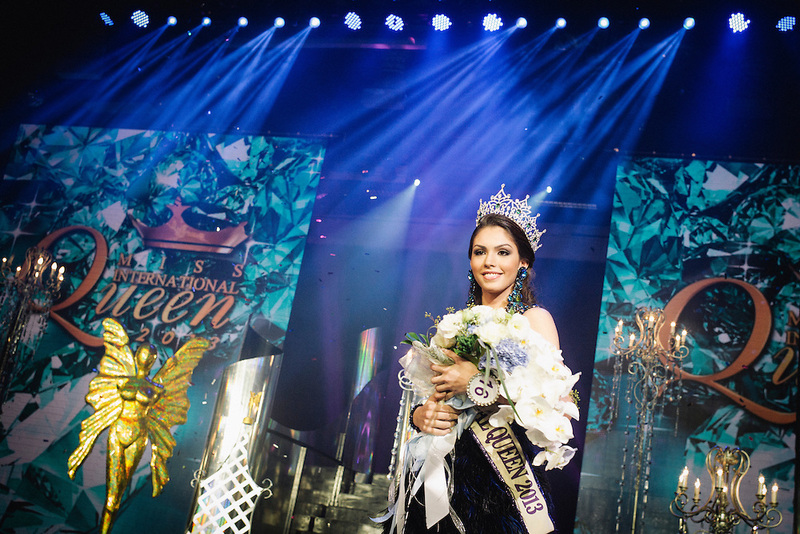 Pattaya - Thailand - November 2, 2013 - Miss International Queen 2013 at the Tiffany's Show, Miss Brazil, Marcelo Ohio won the contest on 2 november 2013. The objective of the Miss Queen contest is to raise the awarness and acceptance, and to promote the human rights and equality of transvestites/transgender at an international level. LadyBoy, Born to be a woman, Kathoeys work in predominately female occupations, such as in shops, restaurants and beauty salons, but also in factories. Kathoeys also work in the entertainment sector and at tourist centers, cabarets. Kathoeys are more visible and more accepted in the Thai culture than transgender or transsexual people are in Western countries..This acceptance is due to the nature of the surrounding Buddhist culture, which places a high value on tolerance.